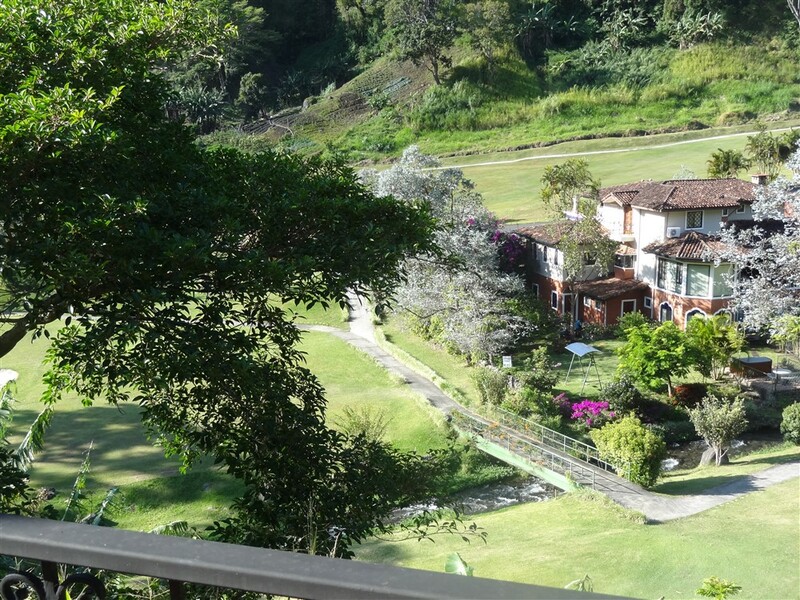 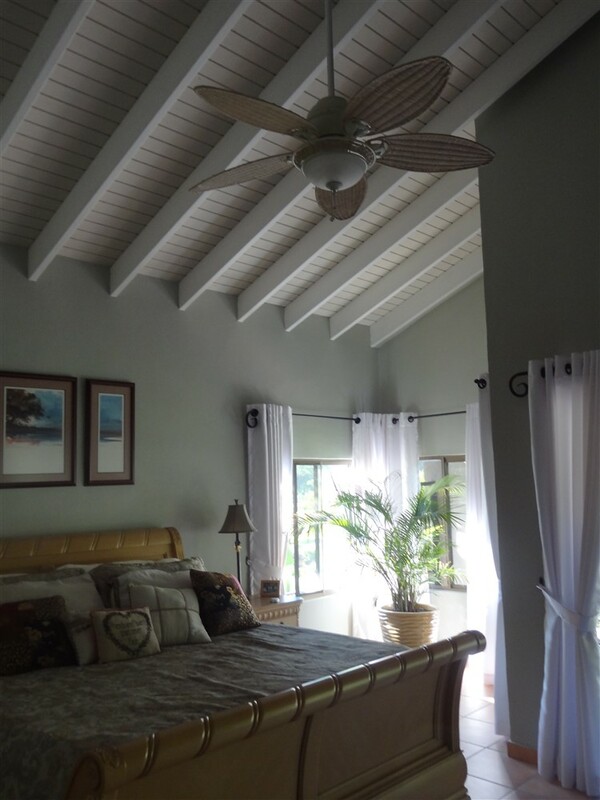 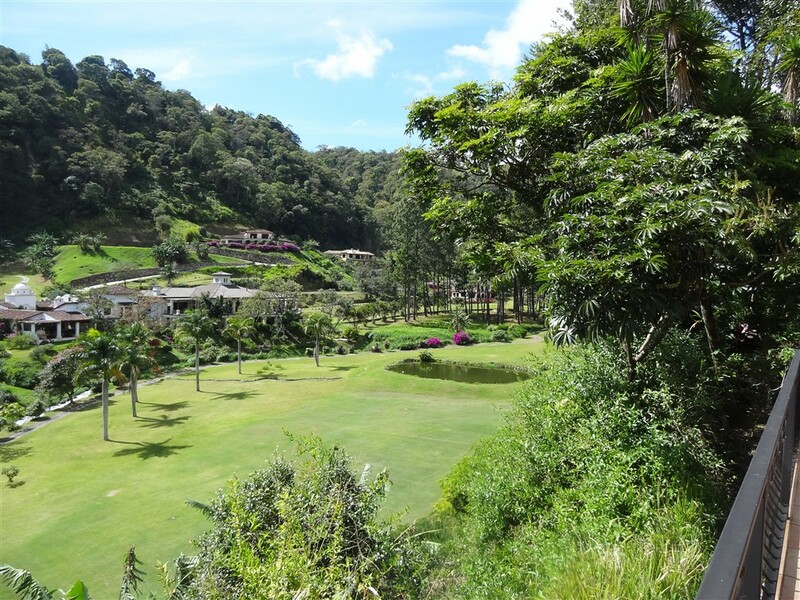 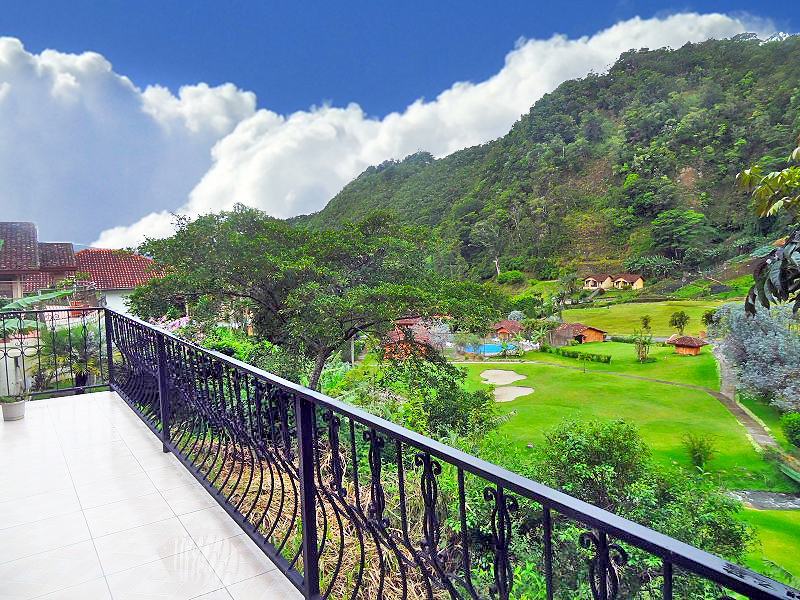 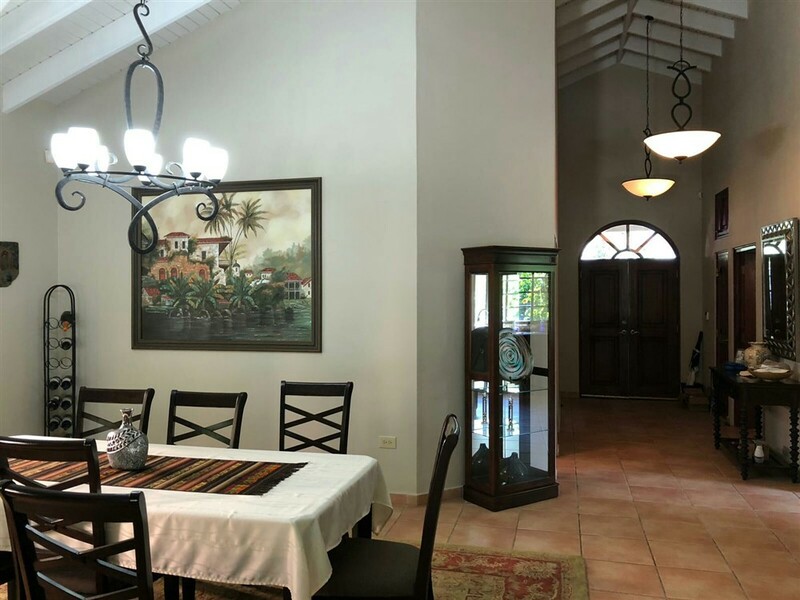 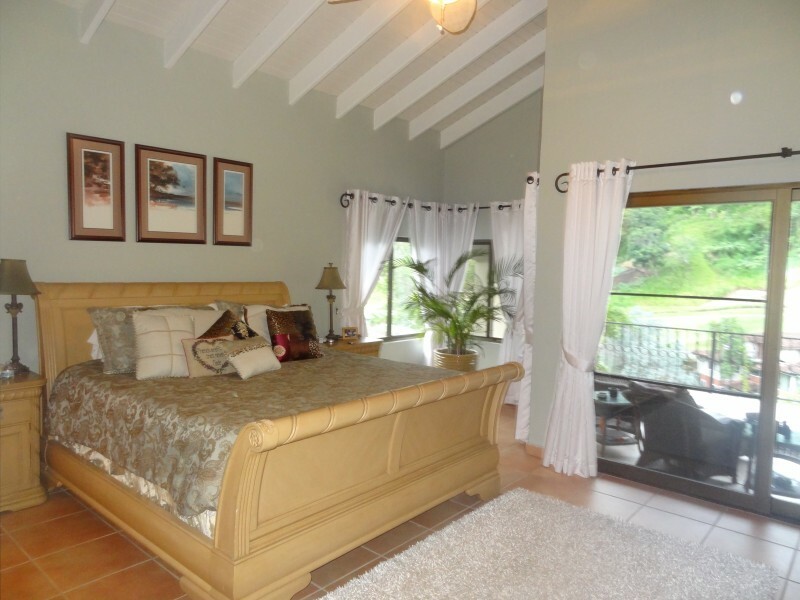 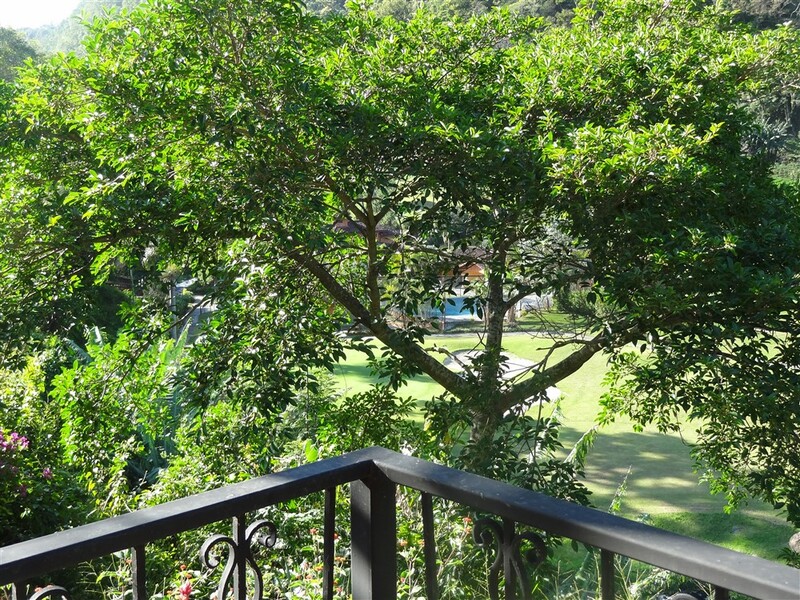 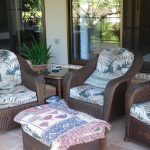 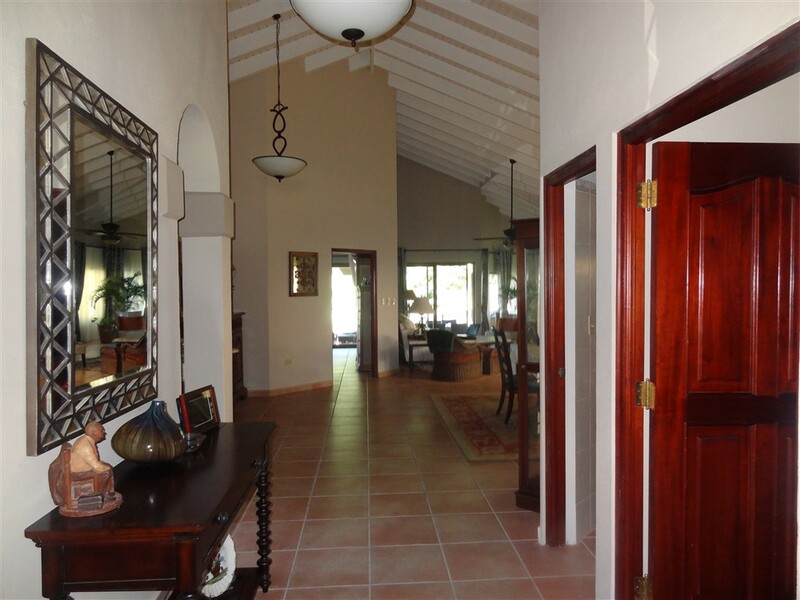 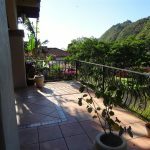 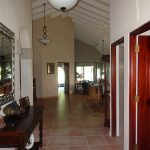 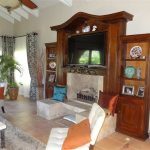 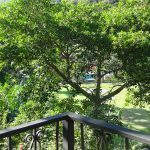 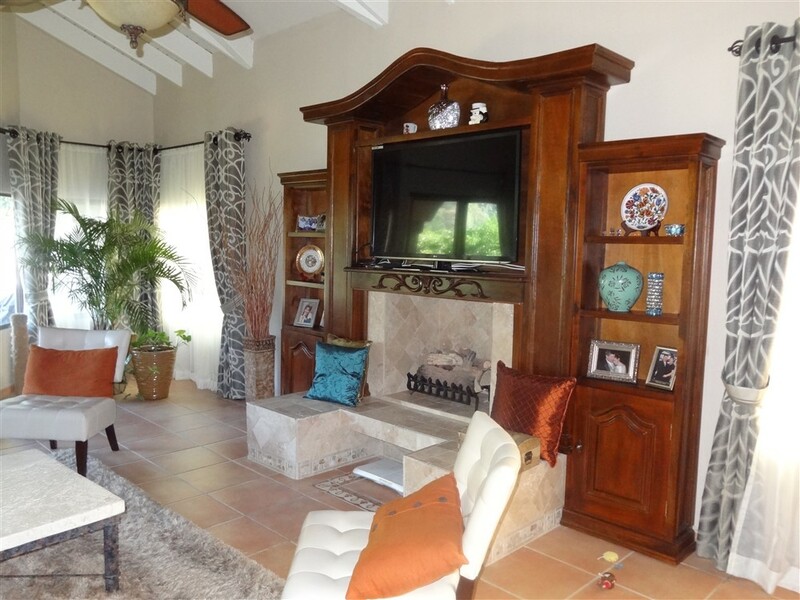 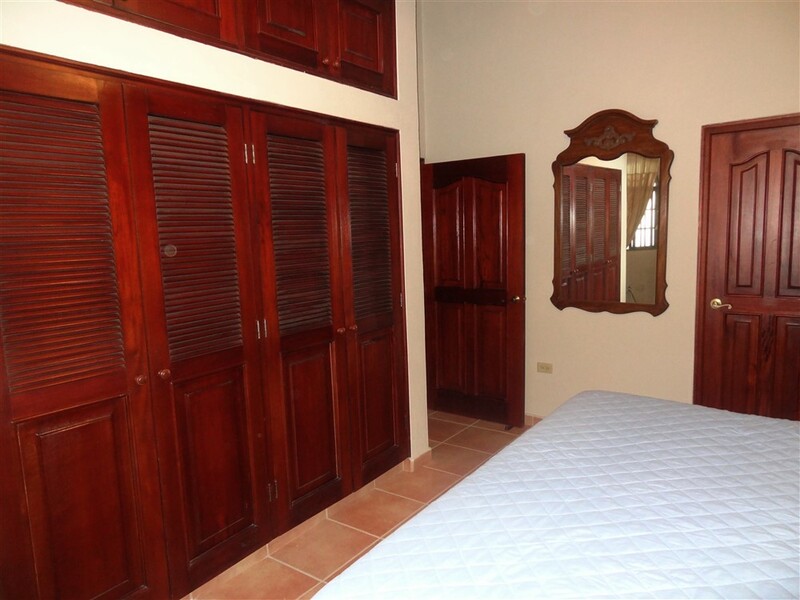 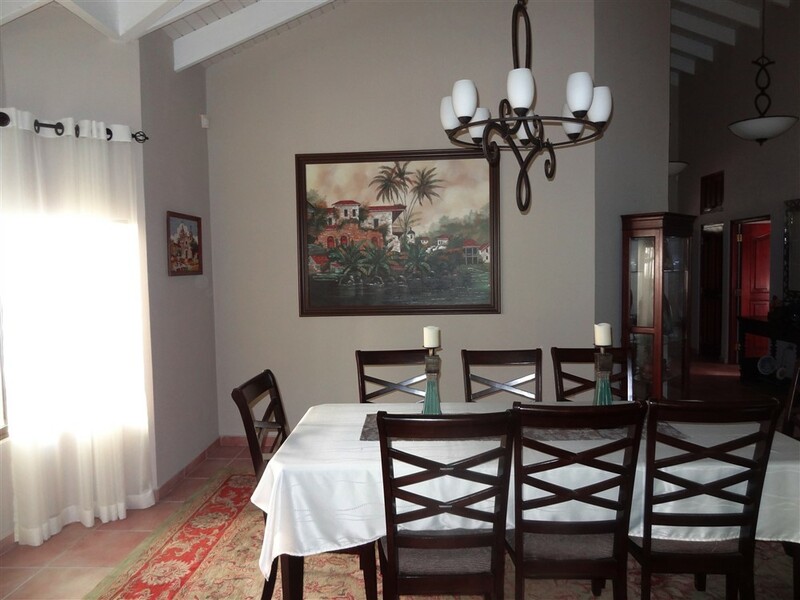 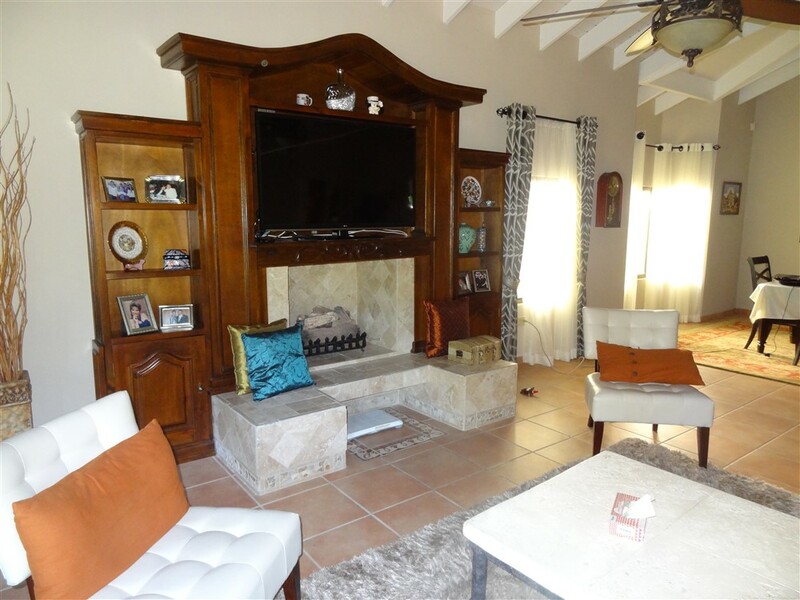 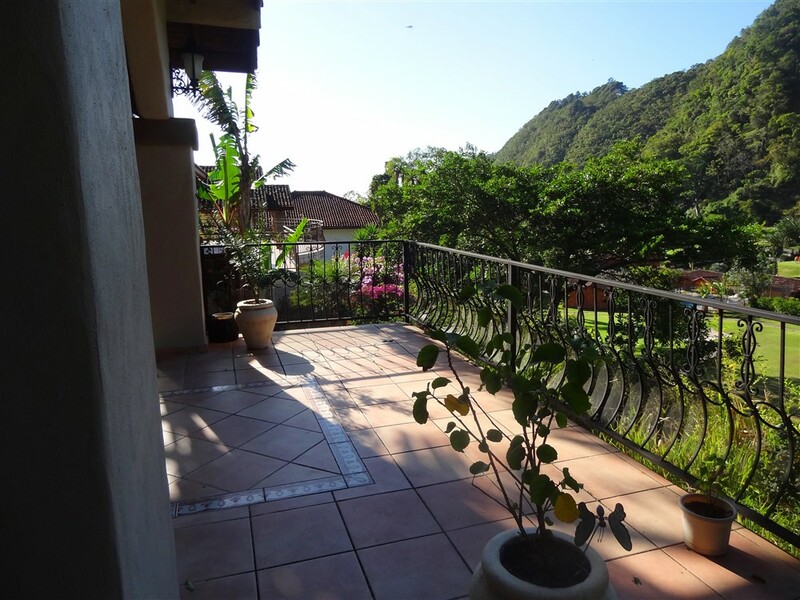 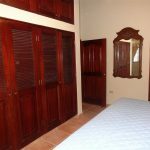 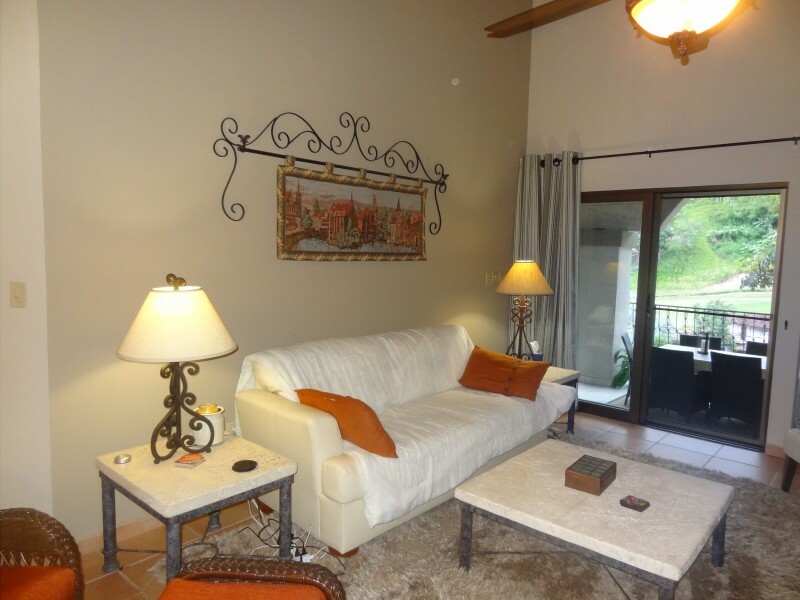 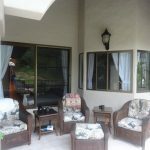 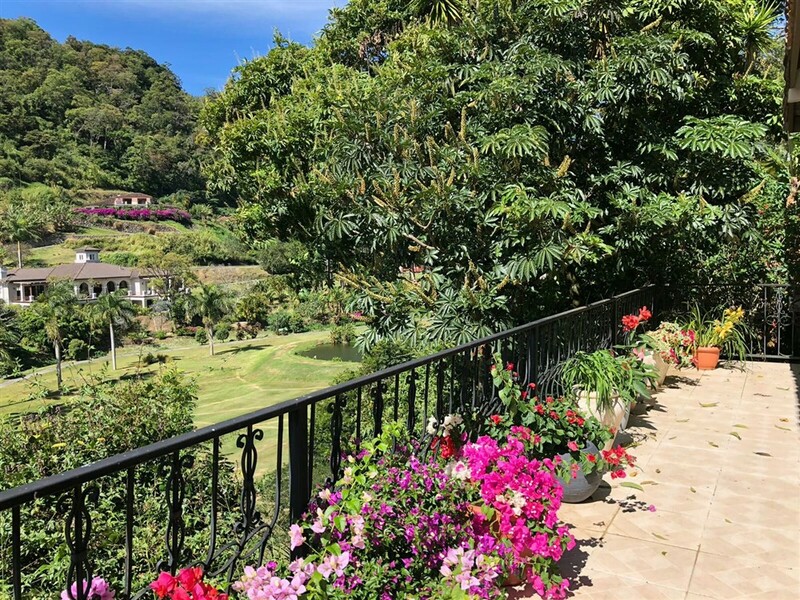 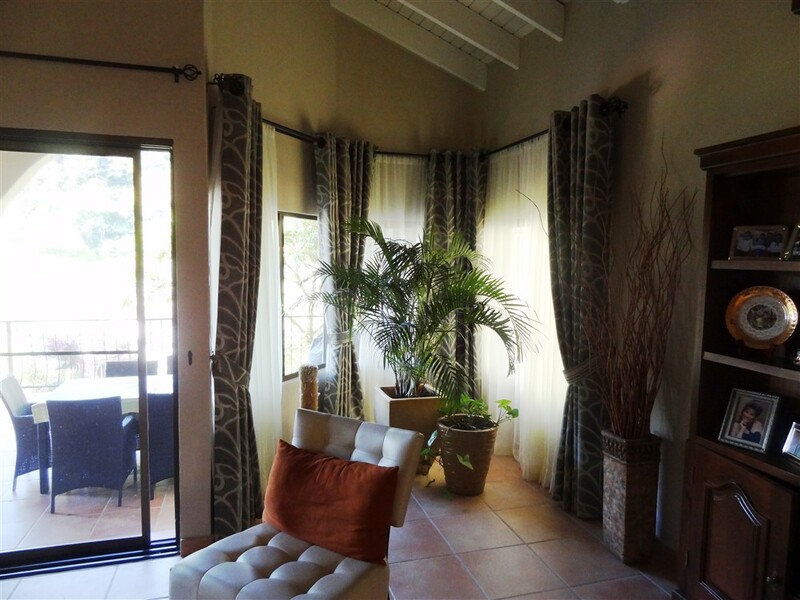 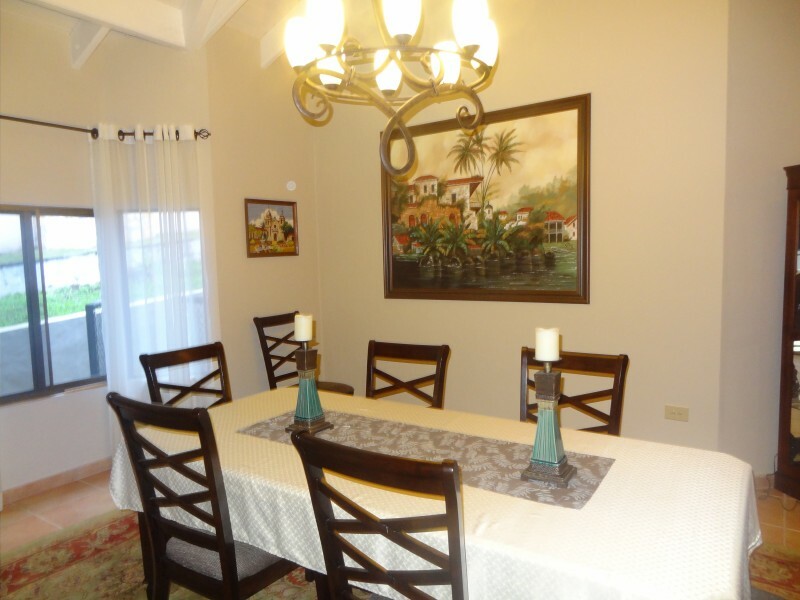 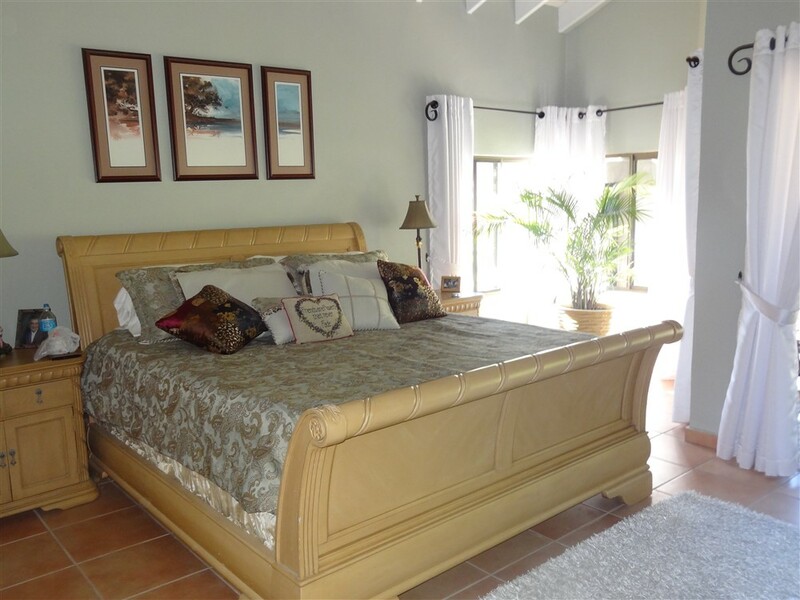 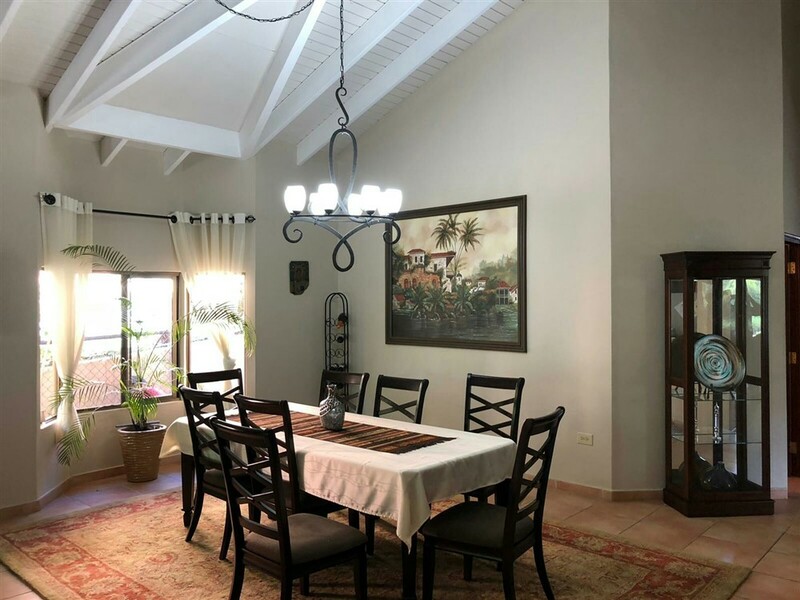 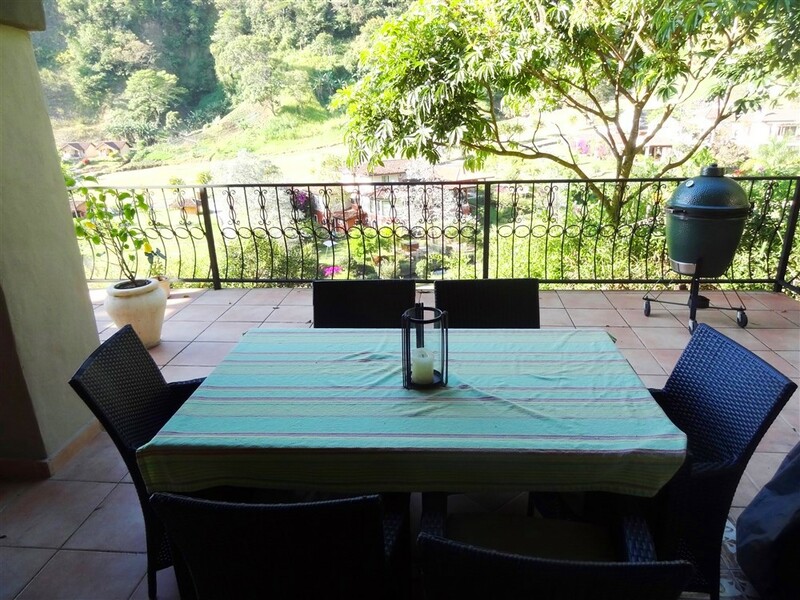 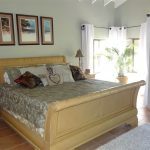 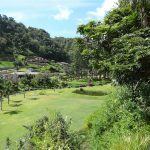 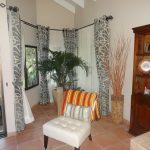 Enjoy this wonderful house overlooking the golf course and hillsides of the tropical valley. 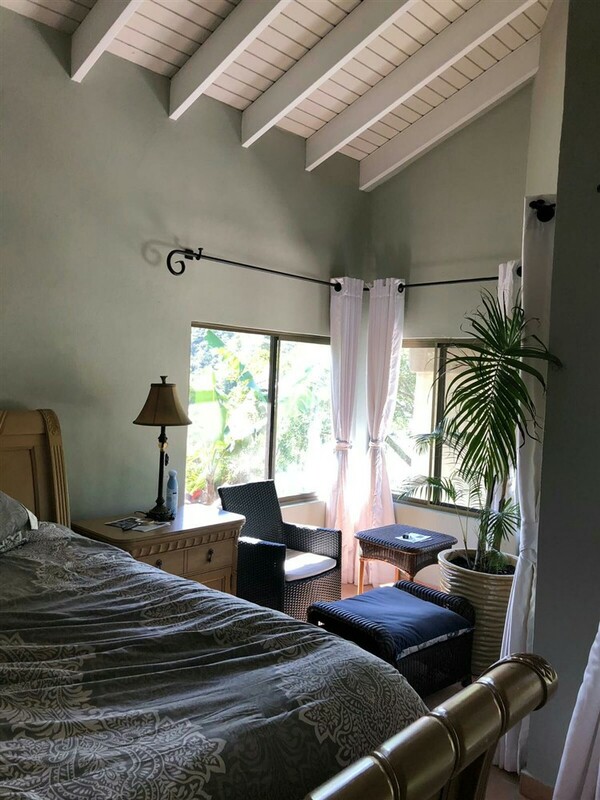 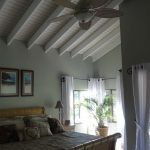 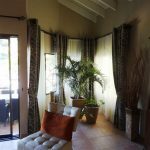 One of the most special features of the house is a large balcony / patio with both covered and uncovered areas accessible from both the master bedroom and open floor plan living room. 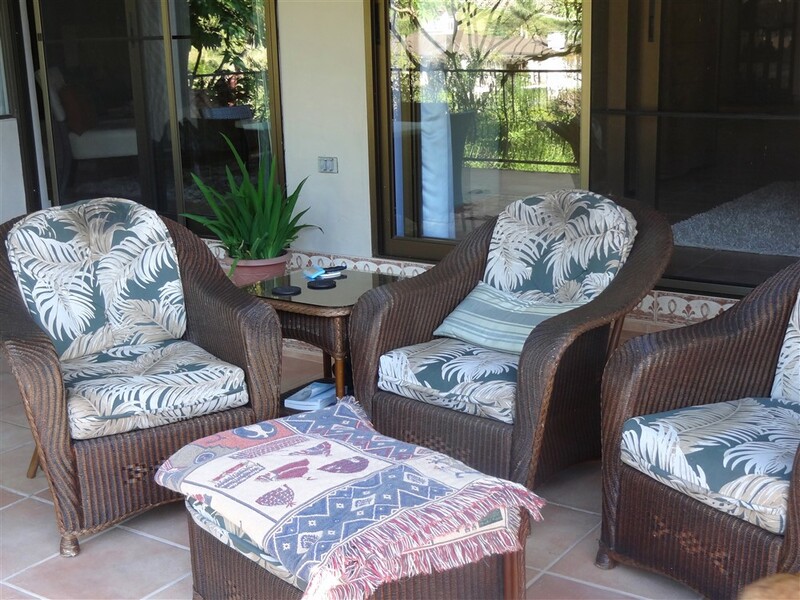 It is a great place from which to enjoy the tropical setting. 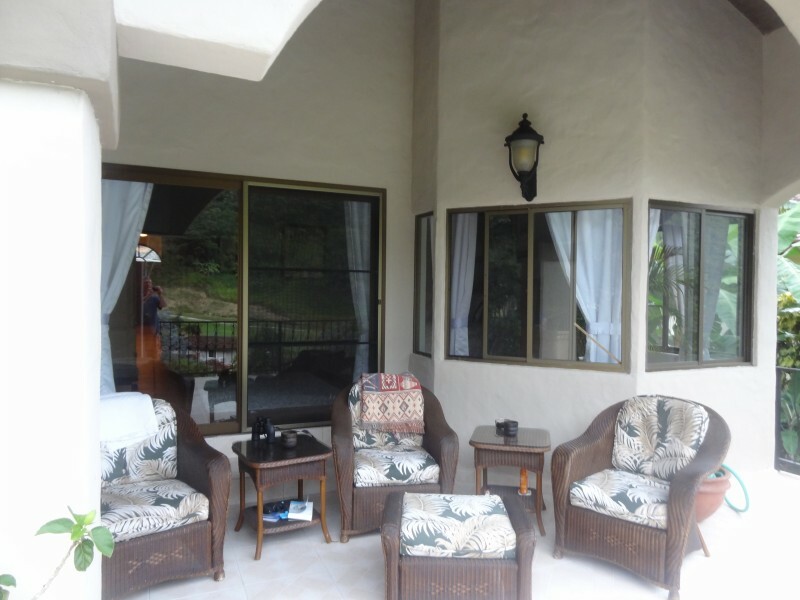 The house provides a convenient entrance with well-covered parking for multiple vehicles. 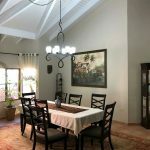 You enter the home to a large, high-ceiling living room enhanced and lightened by warm skylights. 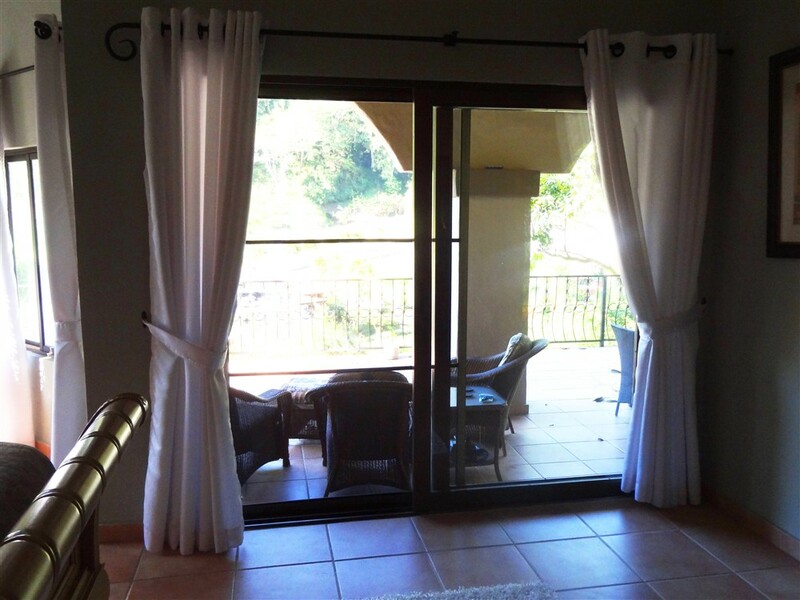 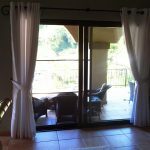 The large sliding glass doors provide lush valley views from every corner of the living room and master bedroom. 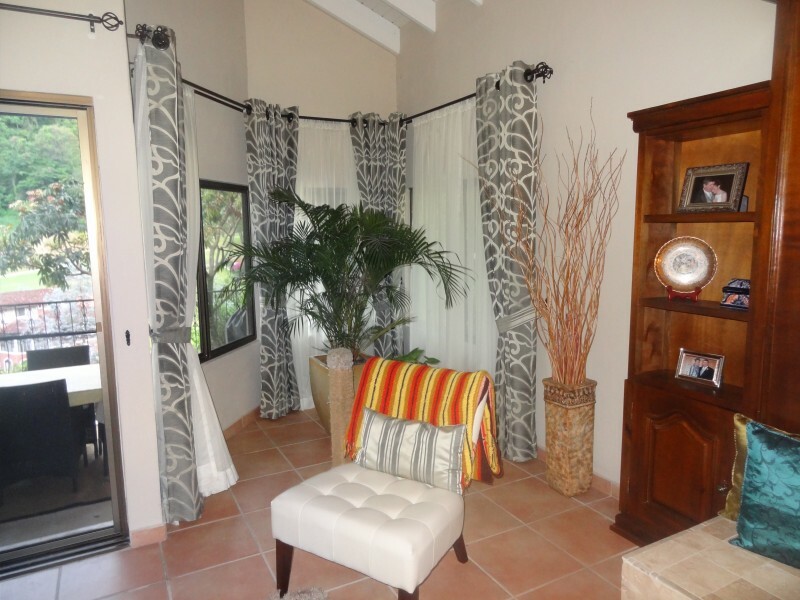 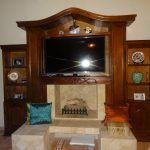 Tidy and cozy nooks in both rooms also provide windowed spots for reading, a desk or decorating. 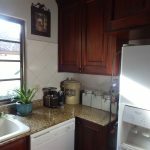 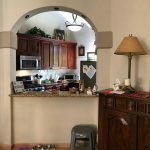 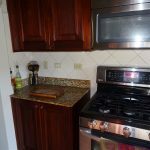 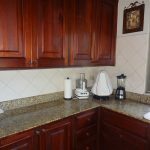 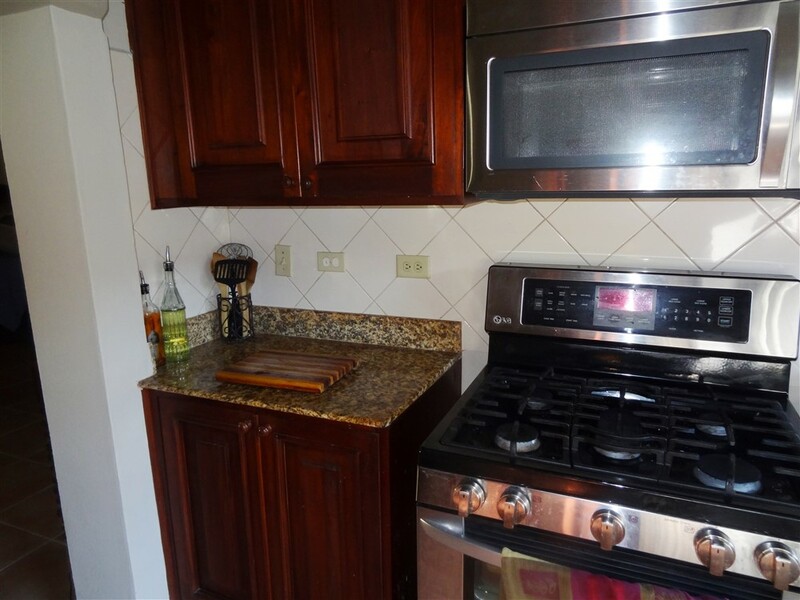 The kitchen has beautiful custom cabinets and lovely granite countertops. 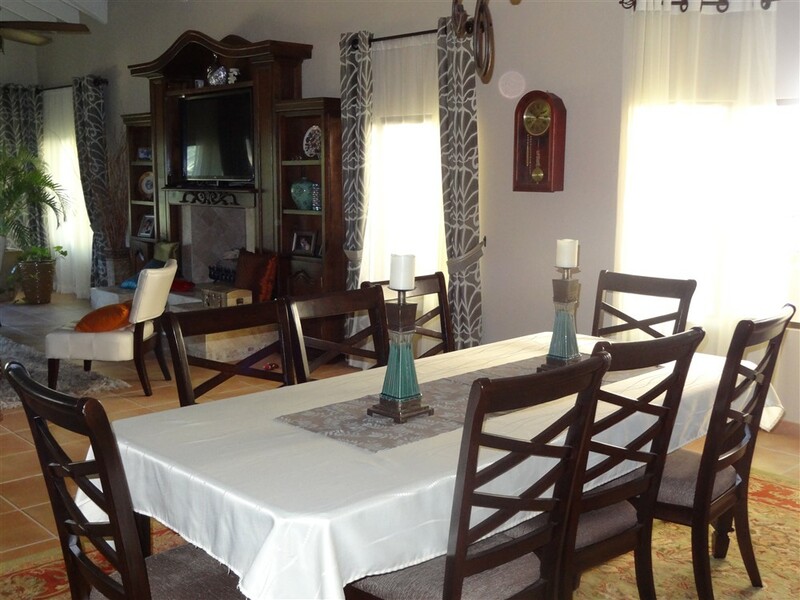 Pretty chandeliers bring light and ambiance to the home. 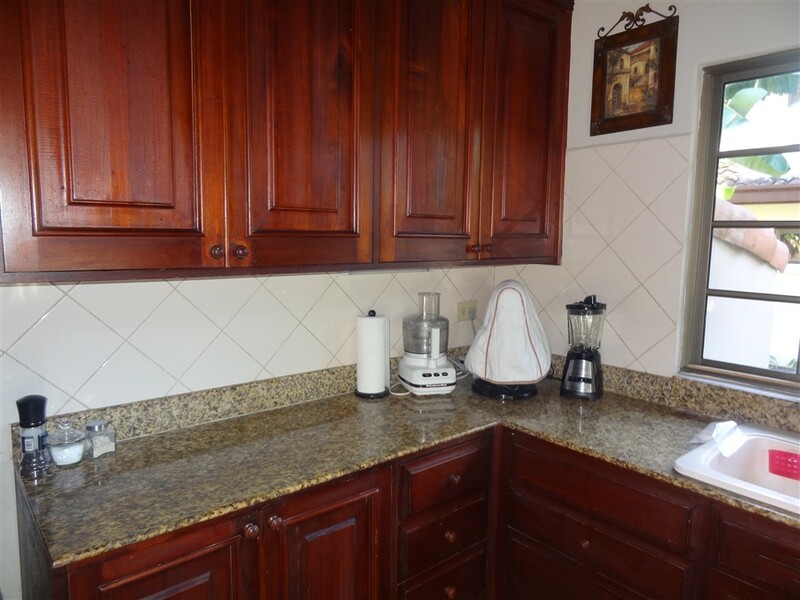 The home comes with all the appliances you could need. 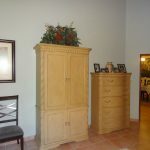 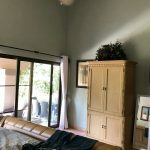 It also has a maid’s quarters that could be used as an office, for storage, a crafts room, a small third bedroom or for another purpose of your making. 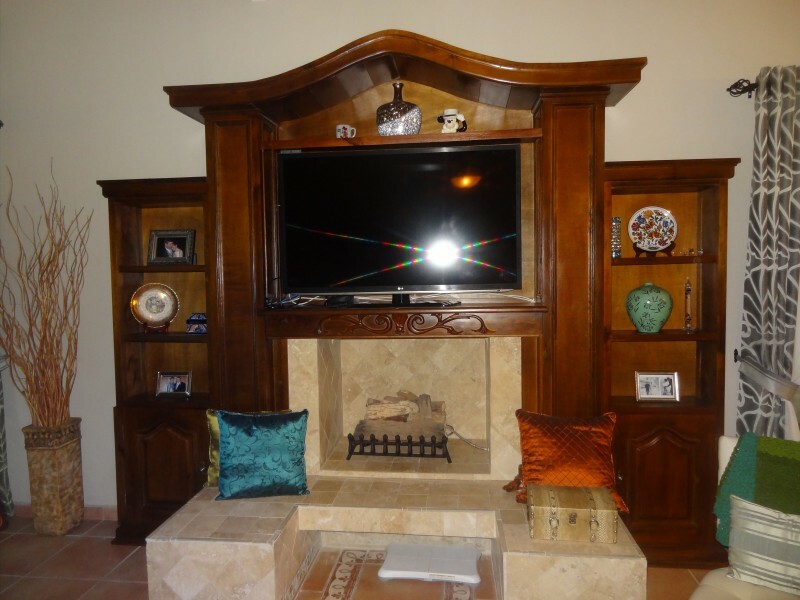 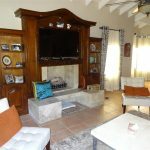 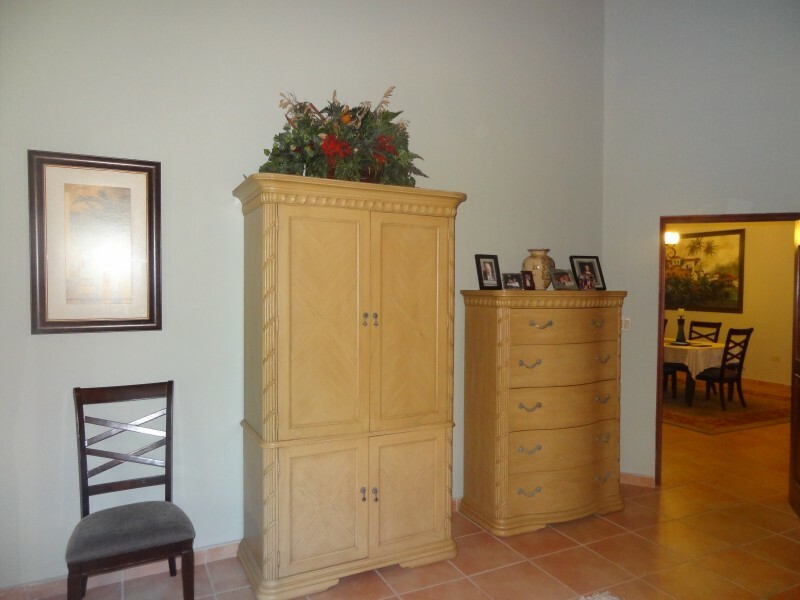 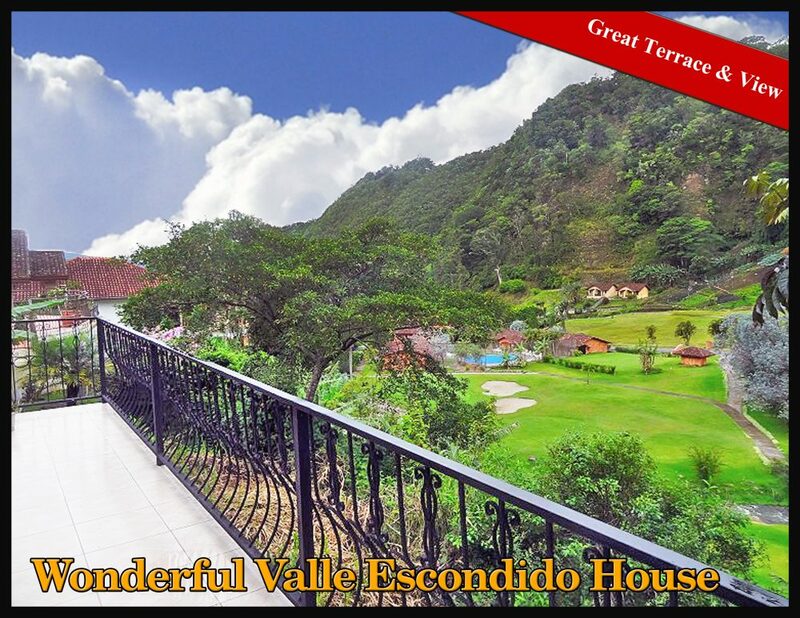 Valle Escondido is known for its great amenities, secure environment and natural beauty. 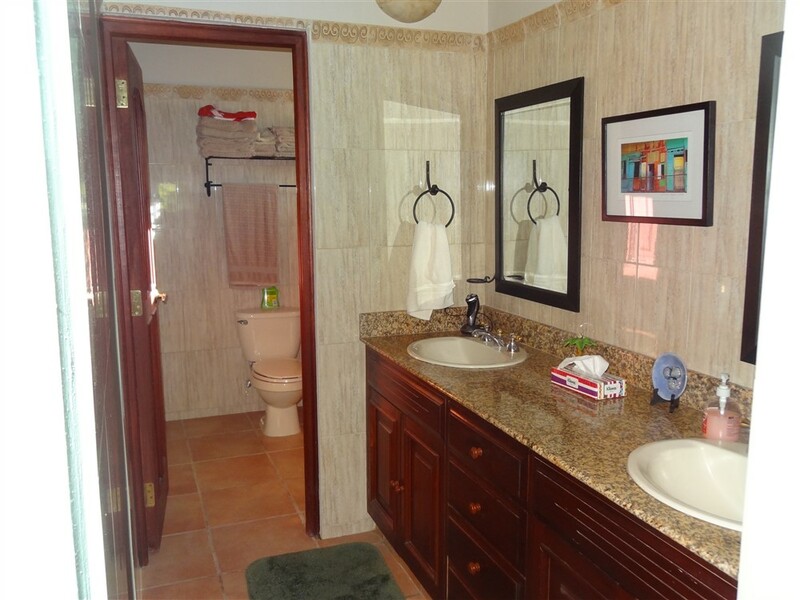 This house provides an opportunity to engage your senses in the pleasures of this fine community. 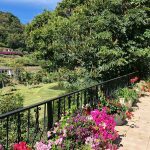 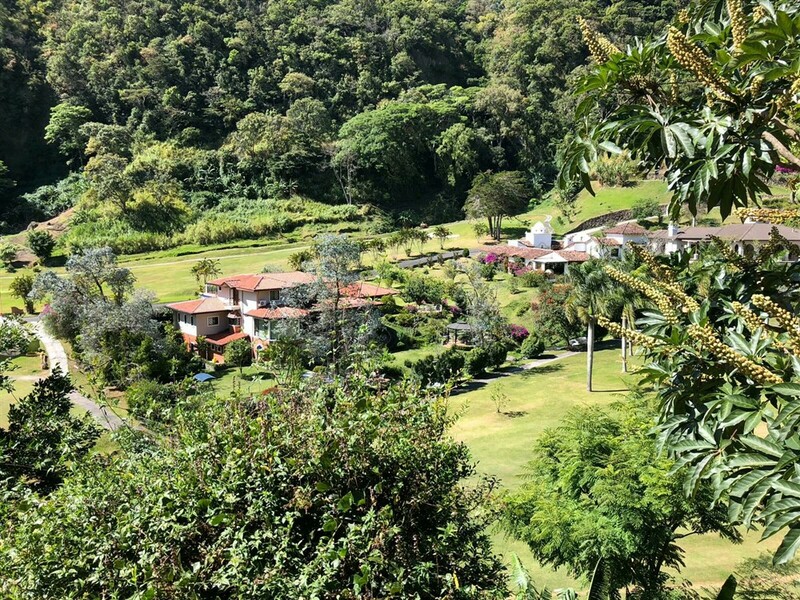 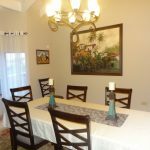 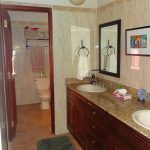 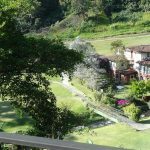 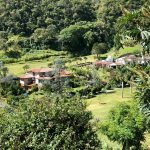 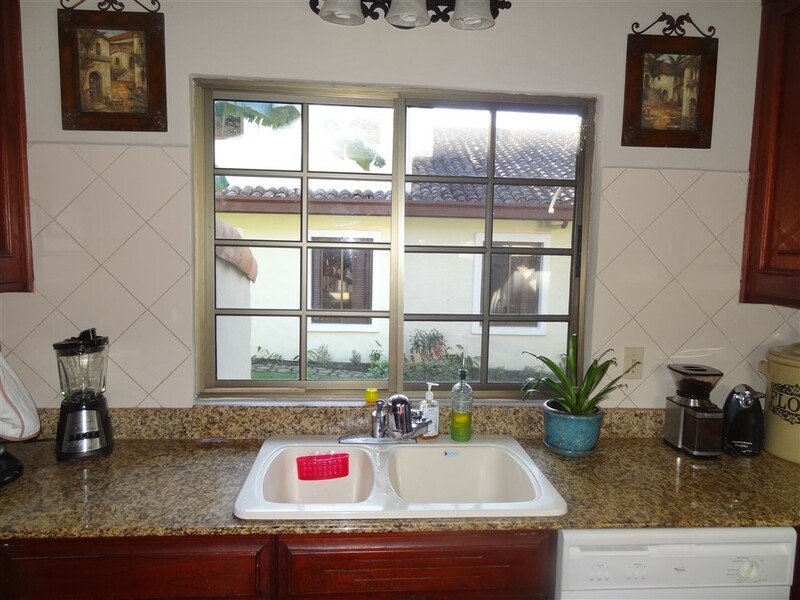 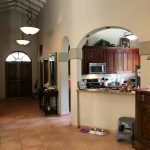 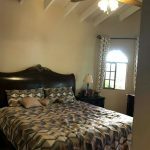 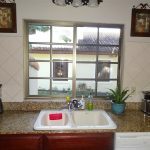 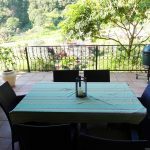 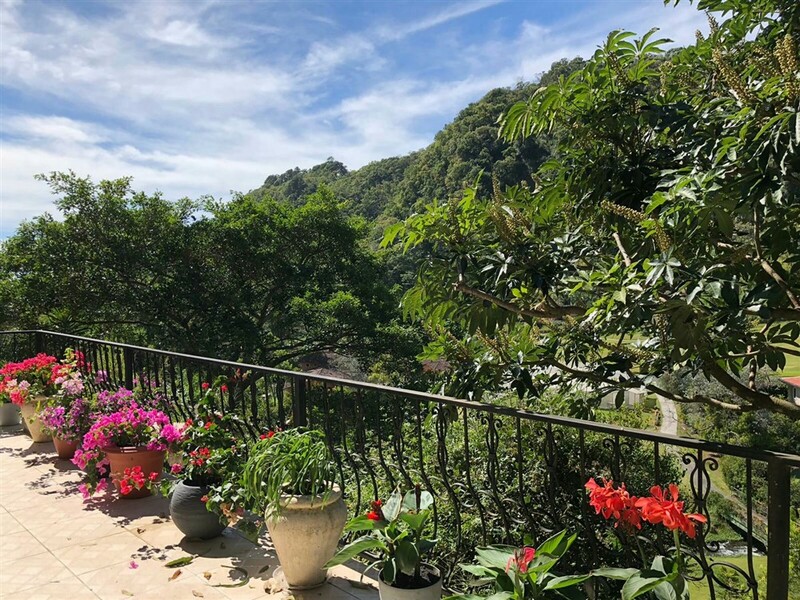 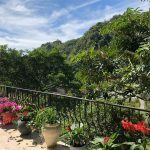 Please contact Casa Solution today for more information or to visit this great low price house for sale in Valle Escondido, Boquete, Panama. 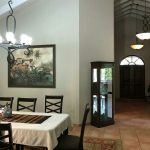 Esta casa se encuentra en una sección exclusiva de Valle Escondido, Boquete, Panamá. 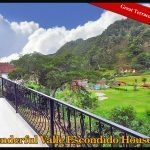 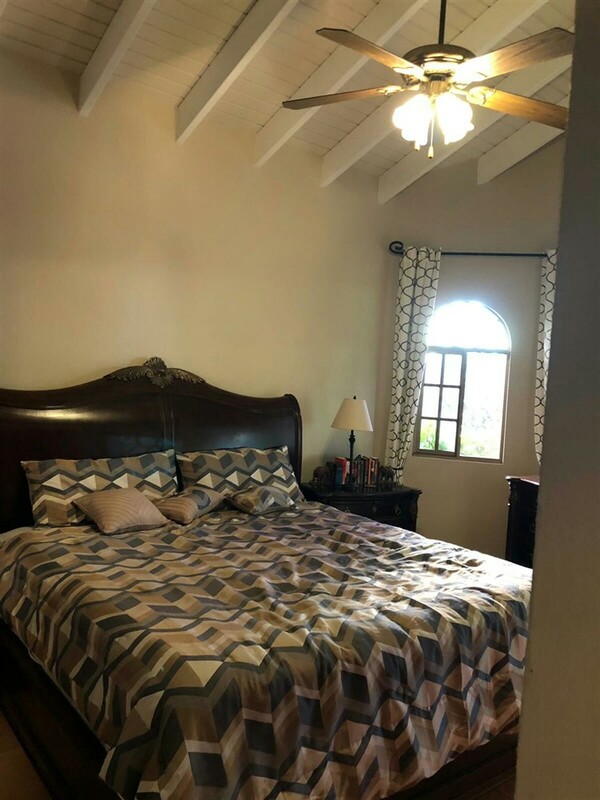 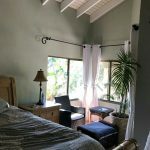 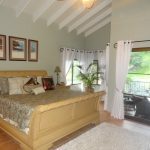 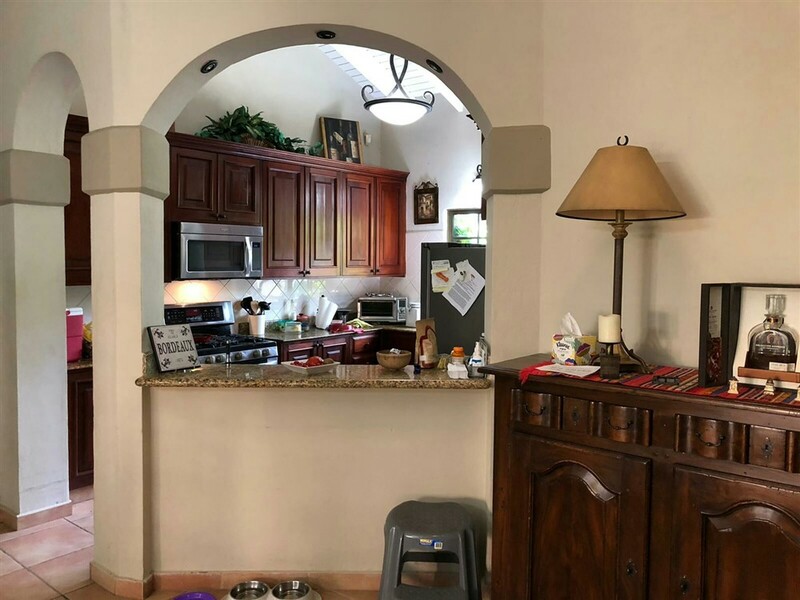 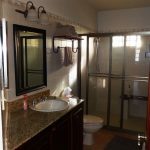 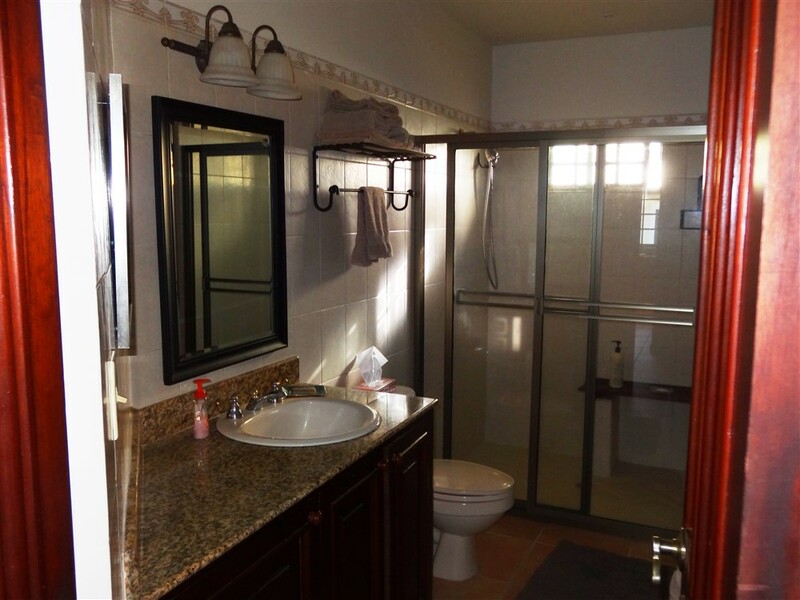 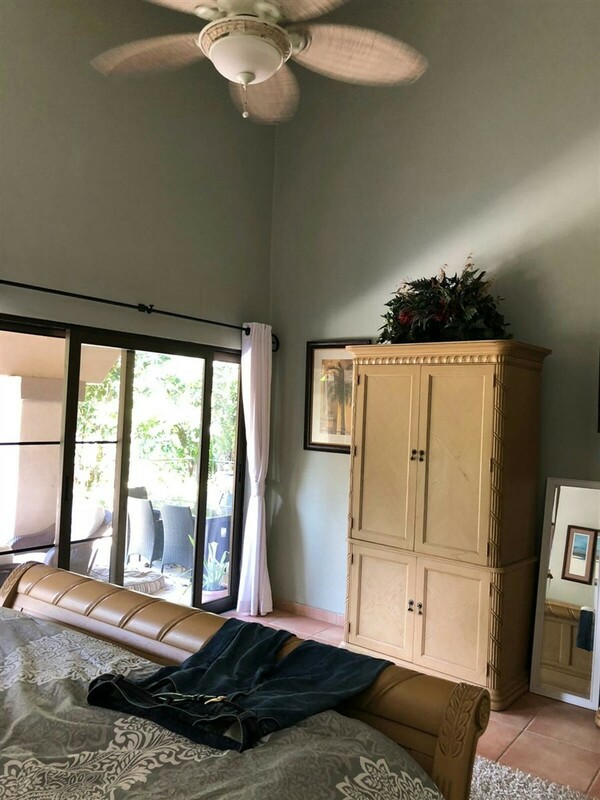 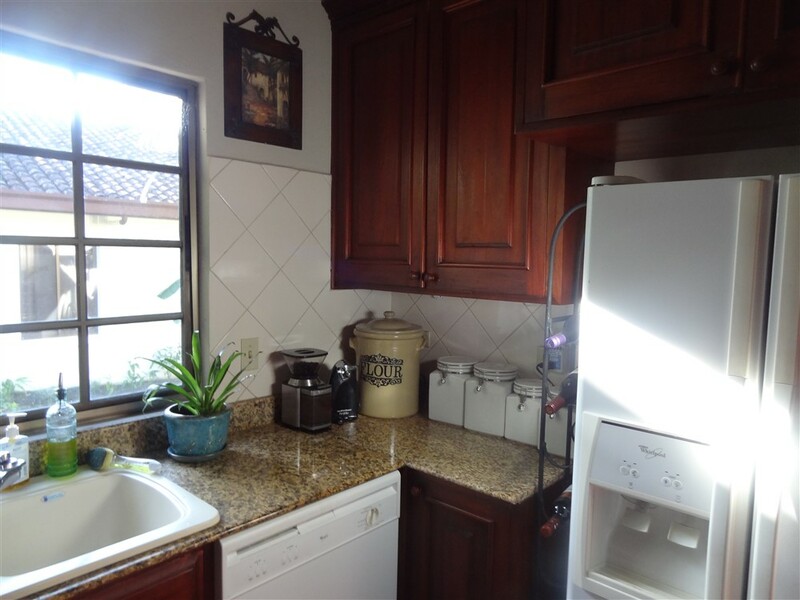 Casas en venta en Valle Escondido a este precio son muy raras. 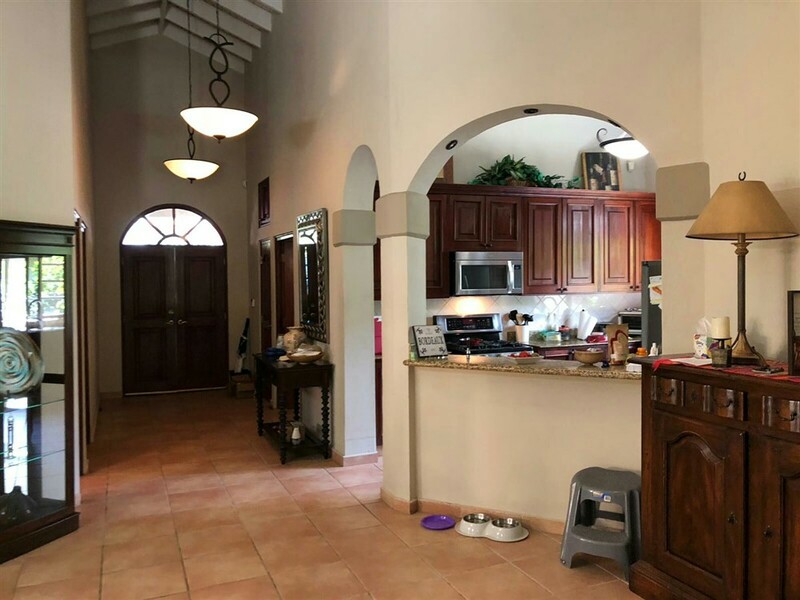 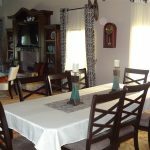 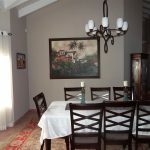 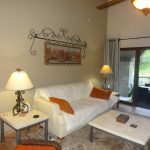 Esta es una oportunidad para tener una maravillosa casa en Valle Escondido a un precio de villa duplex.